Born in Belgrade, Yugoslavia, sculptor Zoran Mojsilov creates public and private work that expresses humanity in its varied forms: in nature, in love, and even in war. Born in Belgrade, in the former Yugoslavia, sculptor Zoran Mojsilov creates public and private work that expresses humanity in its varied forms: in nature, in love, and even in war. You might have seen some of his work at St. Paul College, the East Lake Library, or while dining at Gardens of Salonica in Northeast Minneapolis. At first glance, these towering sculptures might represent amoebas or other non-human life forms. But they are really an expression of our human struggles and emotions. Watch more interview outtakes with Zoran. This segment aired as part of MN Original show #226. 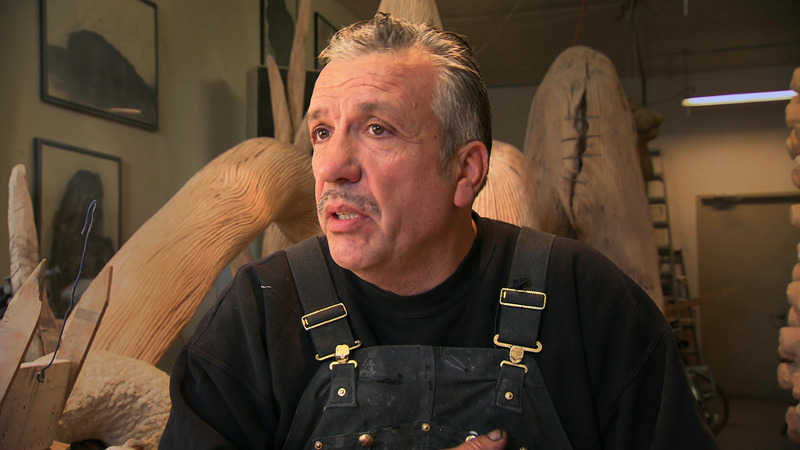 Sculptor Zoran Mojsilov creates work that expresses humanity in its varied forms.